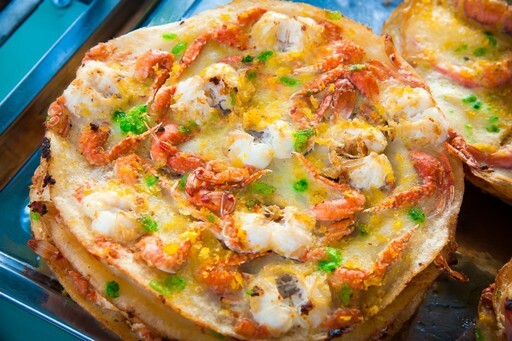 Dazzle your senses with Vietnam’s unique blend of Southeast Asian dynamism, spectacular scenery and culinary flare. Vietnam’s geography is that of a long serpentine slither of land bordered by rugged mountains to the west, and the South China Sea to the east. This sweeping arc continues around to the Gulf of Thailand, and adds up to some 3400km of fine white sandy beaches lapped by aquamarine waters. For many this is reason enough to book flights to Vietnam. 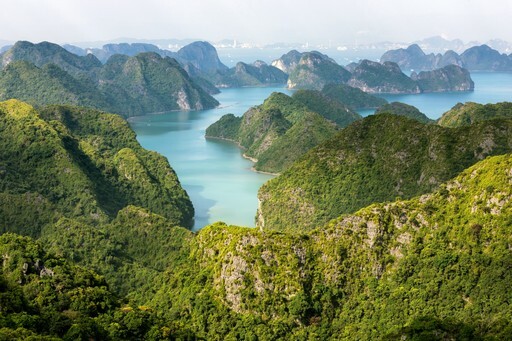 There’s so much more to experience though, from exploring the rural charms of the Mekong River delta, with its paddy fields and laidback pace, to bracing yourself for the thrill of Vietnam’s famously frantic cities. The remote northern mountains are home to fascinating tribal settlements, while the bucket-list staple if Ha Long Bay, despite its popularity, never fails to conjure up its magic. 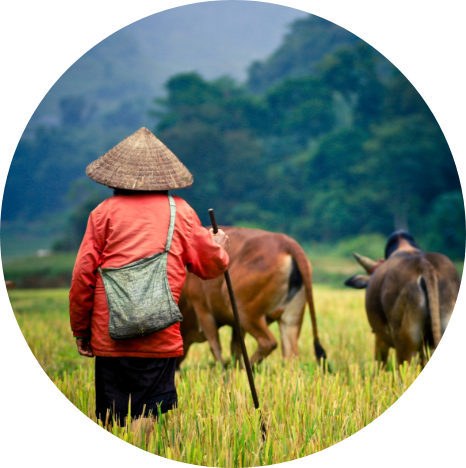 There are many wonderful experiences to be had in this Southeast Asian nation. For further inspiration take a look at the trip ideas put together by our trusted local experts at the foot of this page, but in the meantime here are our top three things to do in Vietnam. One of the essential Asian experiences has to be an early morning junk cruise through the magical Ha Long bay. With limestone karsts looming all around as you drift through the quiet of a misty morning, this really is soul-stirring stuff. If you want to see a bay that is equally beautiful but far less well-known, then our local experts recommend you visit Lan Ha. The turquoise waters and soaring karsts are just as spectacular but seen by far fewer travellers. 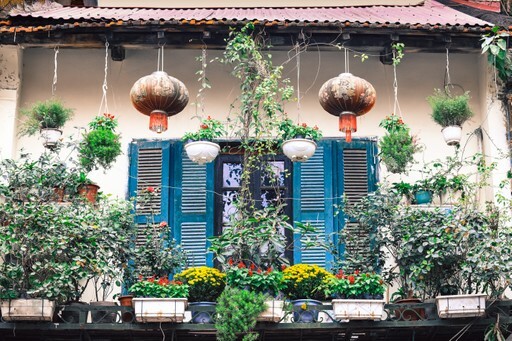 Although it has a burgeoning modern edge, Hanoi is host to the ancient soul of Vietnam and retains a small town charm. The Old Quarter embodies the bustling, scooter-thronged city of popular imagination, while in the neighbouring French Quarter you’ll be transported straight back to the nineteenth century by colonial architecture and picturesque streetscapes. When should I visit Vietnam? The best time to visit Vietnam depends on where you plan to go. In the south, the dry season lasts from December to late April, while monsoons can occur from May to November, which can disrupt travel to more remote regions. The temperature rarely falls below 20 degrees and can reach a fierce 40 degrees in April or May. The central coast can experience rain from September to February, but temperatures are glorious in spring (February to May) and warmest from June to August. Northern Vietnam enjoys sunny weather from October to December, cooler misty weather until March, and then scorching weather, particularly from May to August, which often features heavy rain. Create your bespoke holiday to Vietnam!